Success is not only defined as extraordinary returns on the investments made, but it is also the importance of flawless service execution for our guests while honoring our employees that have entrusted us with their careers. Jim has more than thirty years of experience managing hotels in upscale markets. 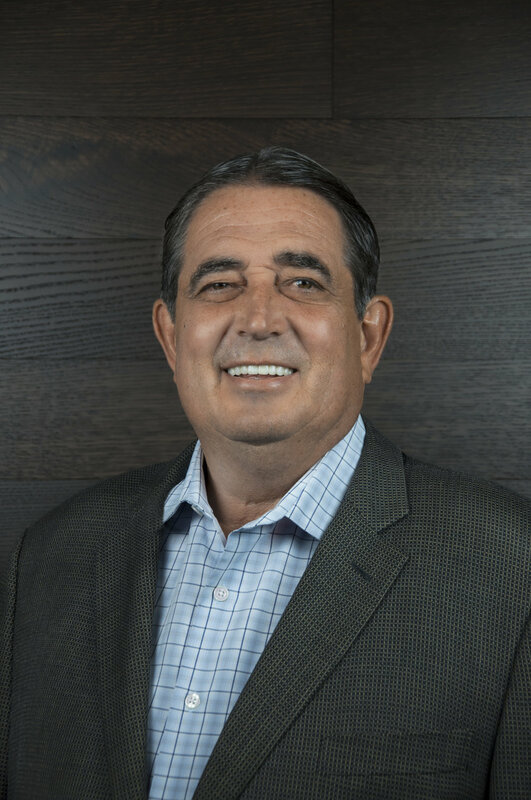 Prior to starting Horizon Hotel Group, Jim was Regional Vice President of Operations for Portfolio Hotels & Resorts overseeing full and limited service properties. He is known as a transitional leader, developing award winning teams that produce exceptional results that provide value to customer, employee and shareholder. While at Portfolio Jim oversaw such brands as IHG, Marriott, Hyatt and Hilton. In addition to his regional responsibilities Jim helped grow Portfolio from five hotels to twenty-four hotels over a two year period. Jim was the main contact for the group's institutional investors such as Prudential, Och Ziff and Fidelity Investments. Jim worked on and oversaw due diligence, asset sales, and consulting projects as well as securing new management contracts. Before joining Portfolio Jim was general manager of Sofitel Chicago O'Hare, Rosemont, Illinois. He made his mark at the Sofitel by improving guest, employee satisfaction and market share to the highest levels in the history of the hotel. Jim developed and maintained the relationship with the owner, Cornerstone Real Estate Advisers. At Sofitel Jim also worked with the corporate office both leading or participating in the development of Sofitel’s “Business Continuity Plan”, the “Database Marketing Program” and the development of the Sofitel Chicago Water Tower. During Jim’s time as general manager the Sofitel Chicago O’Hare won: the Planners Choice Award, Pinnacle Award and Merit & Distinction Award for outstanding service for meetings and conferences held at the property. Dafna has more than thirty years of experience in the hospitality industry, including all areas of hotel management and worldwide travel management. Prior to joining Horizon Hotel Group, Dafna was Director of Business Development for Portfolio Hotel & Resorts working on special assignments overseeing hotel operations, sales, marketing, public relations and revenue management. Before her ascension to this role, Dafna served as General Manager for Portfolio at the Courtyard by Marriott, Beachwood Ohio. During her time with Portfolio Dafna was involved in the acquisition process for multiple properties. Dafna was an integral part of the due diligence process. Dafna served as task force general manager for such brands as IHG, Marriott, Hyatt and Hilton. In addition she served in the capacity of task force in sales, marketing and revenue management. Prior to joining Portfolio, Dafna held positions of Assistant General Manager, Director of Sales and Marketing, Director of Catering at branded and boutique properties in the Untied States and abroad. Dafna has served on a number of Boards of Directors including the Sherman Oaks Chamber of Commerce, HSMAI, Founding Committee, San Fernando Valley Visitors and Convention Bureau, AFMDA, Overseas Connections Committee (at Jewish Community Federation of Cleveland); Tourism Advisory Committee to Bridge to the Future, Chairwoman, Radisson Local Sales Team. In addition Dafna is fluent in five languages. Nick has over 40 years’ experience in the hospitality, parking and airline industries; and specializes in consulting and asset management. He holds an outstanding record of improving profit margins, enhancing revenues, extending market penetration, developing new revenue sources, and managing significant cost containment. His experience includes new development, procurement, re-branding, acquisitions, due diligence, market & financial analysis, and restructuring. His property experience includes working for several large hotel companies and condominium hotels as a Vice President of Operations. During his career he has consulted and operated various brand affiliations including Shangri-La, Four Seasons, Trump Hotels, Ritz Carlton, Conrad, St. Regis, Marriott, Renaissance, Omni, Sheraton, Hilton, Holiday Inns, Embassy Suites, Radisson, Hawthorn Suites, Hampton Inn & Suites, and various independent properties. He is also in demand by the Parking and Airline Industry as a consultant and asset manager. We offer a range of services for hospitality professionals that need assistance with property operations, marketing, and new development or construction. We work with professionals managing everything from mid-size extended-stay and limited service properties, to boutique hotels and full-service resorts. We also offer services for owners and operators of full-service restaurants, spas, and convention centers. The team at Horizon Hotel Group works hard to optimize the financial performance of all our properties and seeks out new growth opportunities. Horizon Hotel Group LLC, is a national independent hotel asset management and consulting company, specializing in the renovating, repositioning and rebranding of hotels and resorts. Providing property owners and investors with management solutions that maximize opportunities and create competitive advantages. With personalized service from hospitality professionals with over one hundred years of combined experience, we will review your property and tailor a program that will meet your needs. With the broad base of experience we will focus on achieving extraordinary results in shareholder value, employee satisfaction and superior guest satisfaction. Horizon’s strength is that we provide each property with personalized service characteristic of that received when working with a small company, yet enhanced by the breadth and depth of skill embodied in our collective experience. Horizon Hotel Group LLC, plans strategically for the future while producing extraordinary results today. Interested in working together or do you have a question we could help you with? Please don't hesitate contacting us with any question , request, or comment. We look forward to hearing from you.